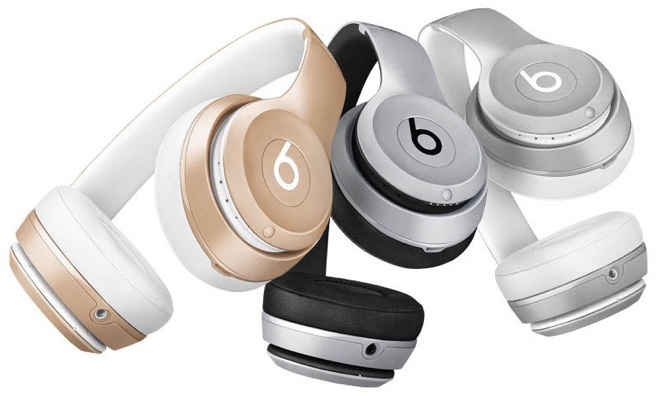 You can now order Beats Solo2 wireless headphones in an iPhone and Macbook-matching colors. Apple added silver, gold, and space gray color schemes to its lineup of on-ear headphones. Announced in November last year, the Beats Solo2 wireless headphones were initially available in black, white, blue, and red. As its name suggests, the headset is a version of the company’s popular on-ear model without the wires. The new color Beats Solo2 wireless color options carry the same eye-watering $299.99 price tag as their less shiny siblings. It’s worth noting that the more “ordinary” colored variants are now available online for a considerable discount.